I'm a very big fan of ABH shadow palettes but didn't own any of their single shadows until this January. An ABH quad is one of those things that always lingers on the bottom of my wishlist and when I realized I had a ton of points at Ulta Beauty plus a $5 off coupon to spend, I decided to finally make the plunge. 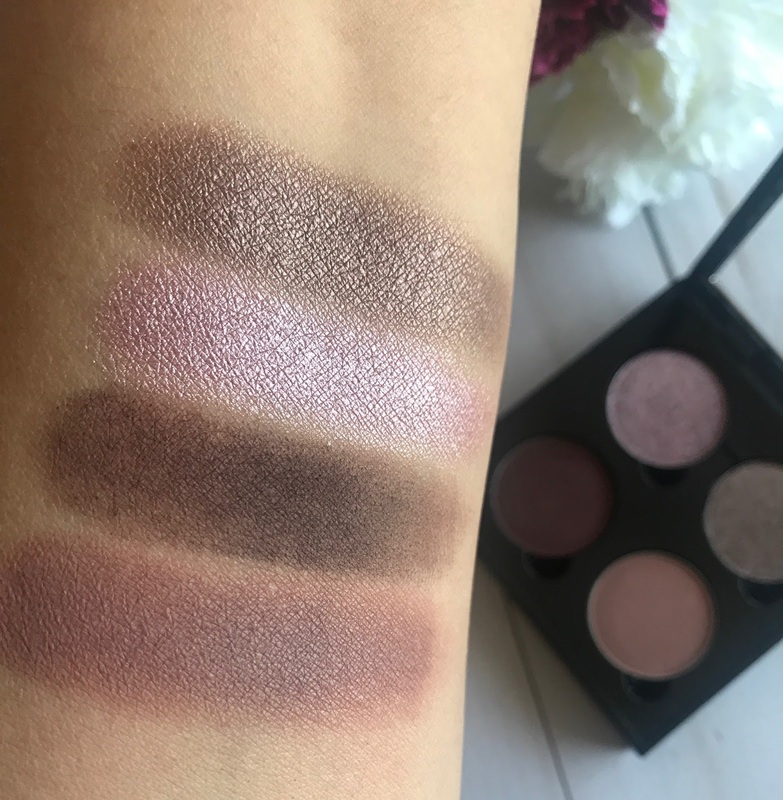 For my first quad I went with 4 shades that I have always wanted - shades that I see over and over again online and that I had already marked in my mind as must-haves. The four shades I picked out for my first Anastasia Beverly Hills quad are: Macaroon, Chocolate Crumble, Beauty Mark & Dusty Rose. Not only are these shades that I already knew I wanted - they actually all look and play really well with each other. Plus I love how I ended up with two shimmers/metallics and two mattes, so this is truly a perfect palette for me. Anastasia Beverly Hills single shadows are $12 a piece but when you purchase four it's "only" $40 for the quad. You can find this same deal at all sites selling ABH singles and it's what I suggest buying if you're just picking out a few shadows. The only thing I did not like about placing my order through Ulta is that the empty palette was NOT included. I had to purchase that separately through Sephora for $1. I don't know if they were just out of stock when I ordered my shadows or what. It wasn't super inconvenient for me to have to order the empty eye well separately but if I had not been a VIB Rouge at Sephora I would have had to pay for shipping, and then I would have been very unhappy. Other than that unfortunate no empty palette incident - I am absolutely smitten with my first ABH quad. I've been using it this week and the shades are as good as I had hoped they would be - plus this color combo is so beautiful. 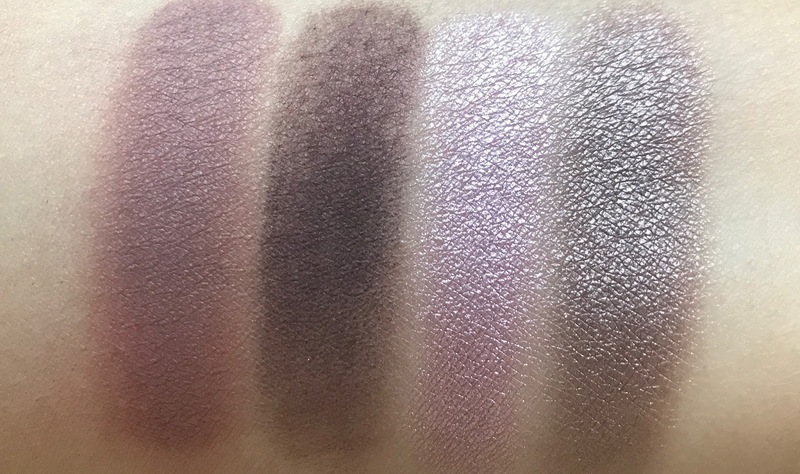 If you're a fan of mauvey-plummy eye looks, I think you will love all four of these shadows. 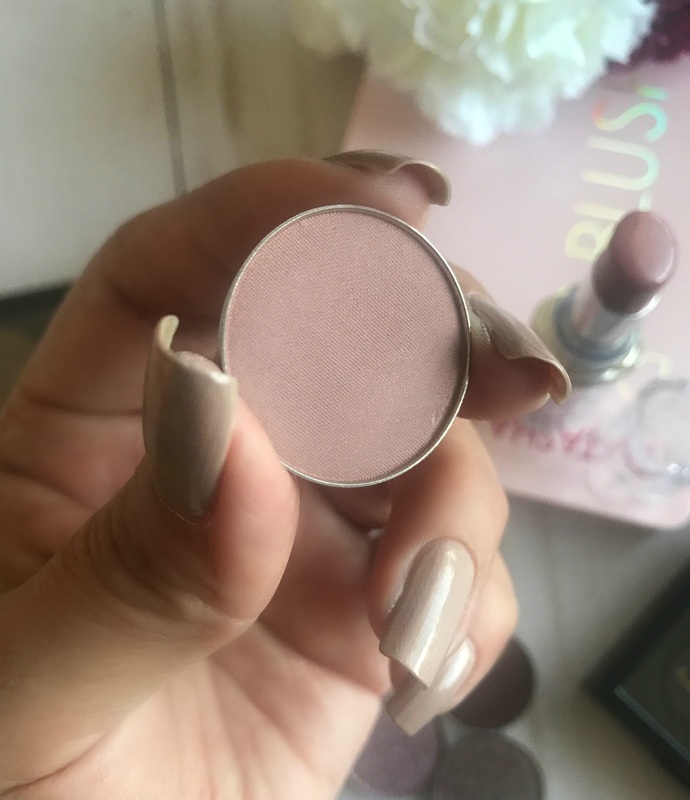 Dusty Rose is a beauty - I have that in an ABH palette and always knew I wanted a single of it. This is a great transition shade as well as a beautiful all-over color. Beauty Mark did swatch a little patchy but that is pretty normal for that type of shade. 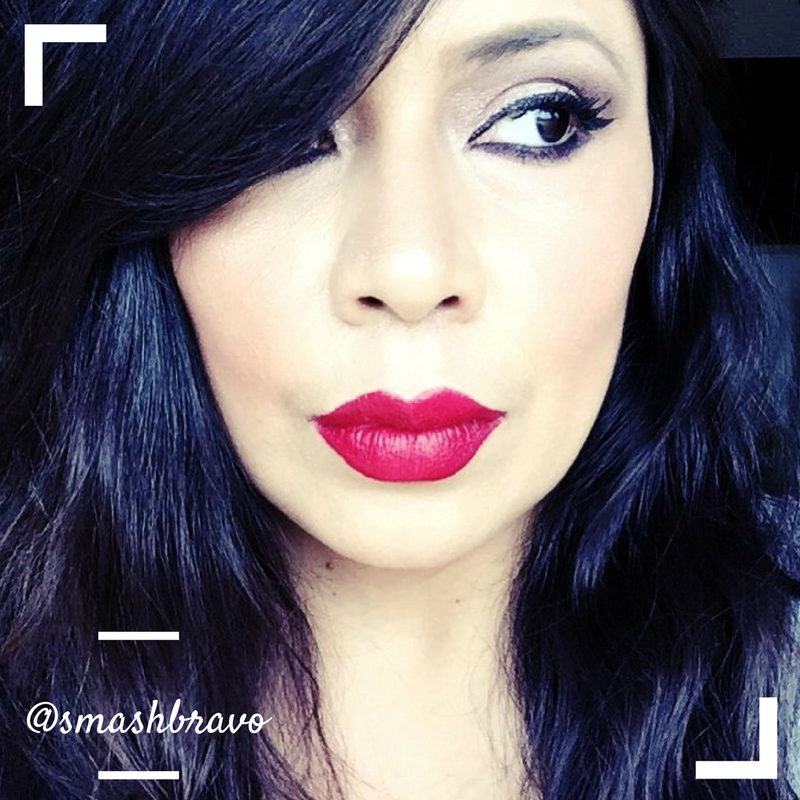 It actually works beautifully on the eye and is a perfect burgundy color. 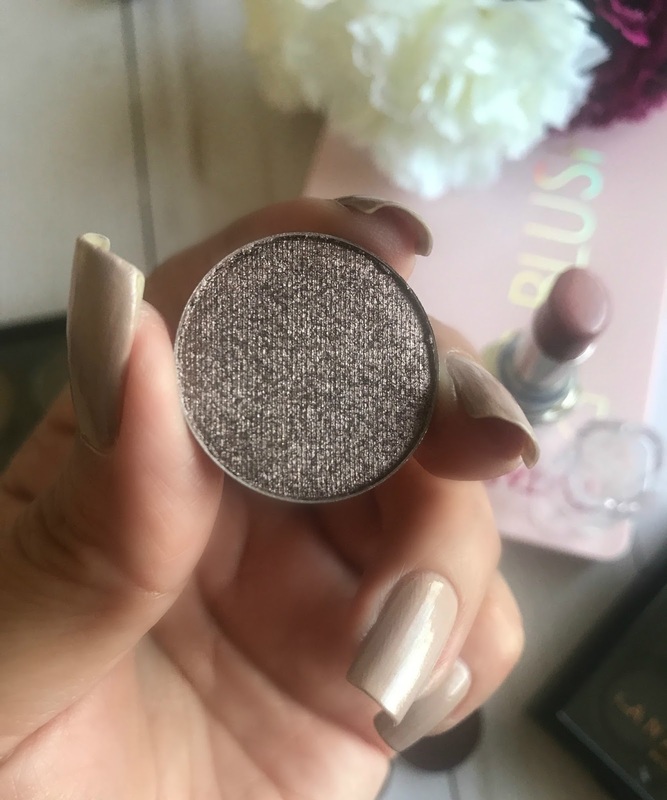 I will be using this as my deepening shade as well as an all over color, I love burgundy shadows and this will make for a stunning smoky eye. Macaroon is beautiful and my favorite shade in the palette because it's so fun and pretty. Of the two shimmers, I found this one to be creamier and more pigmented going on the eyes. I did use my finger for best color payoff but it also works nicely with a brush. Chocolate Crumble is such an amazing shade and has the most beautiful reflection. I LOVE taupe browns and this is def going to become a go-to in my collection. Here is a closer shot of each of the four shades in this quad. Which do I suggest buying? ALL OF THEM! I am so stoked to have finally gotten on the ABH single shadow train. 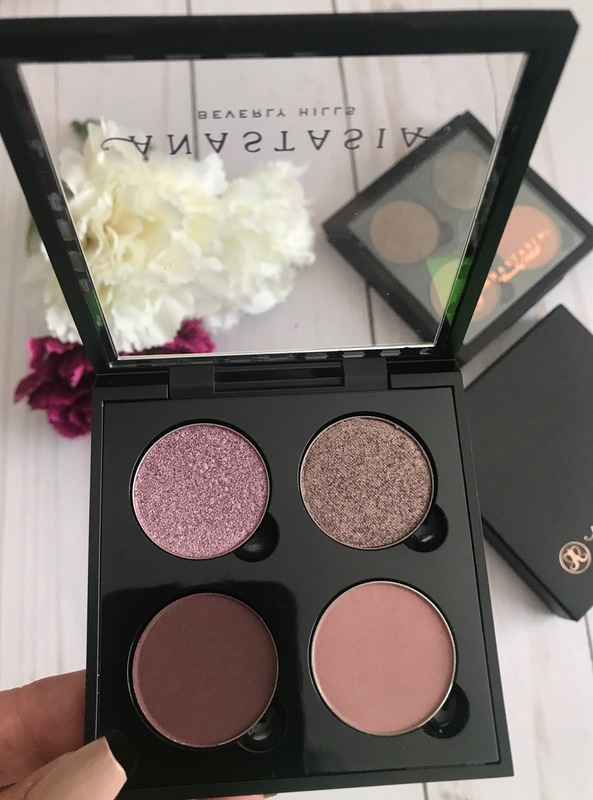 I am already such a big fan of Anastasia's palettes - I think I was just so overwhelmed with the large selection (80 shades) of singles that I didn't know where to begin. But now that I am on board, you can bet there will be MANY more ABH singles in my future. Shop for Anastasia Beverly Hills single shadows at Ulta and Sephora.